The Pacific and Plains Forktails have a wide distribution in Arizona and can be locally abundant. 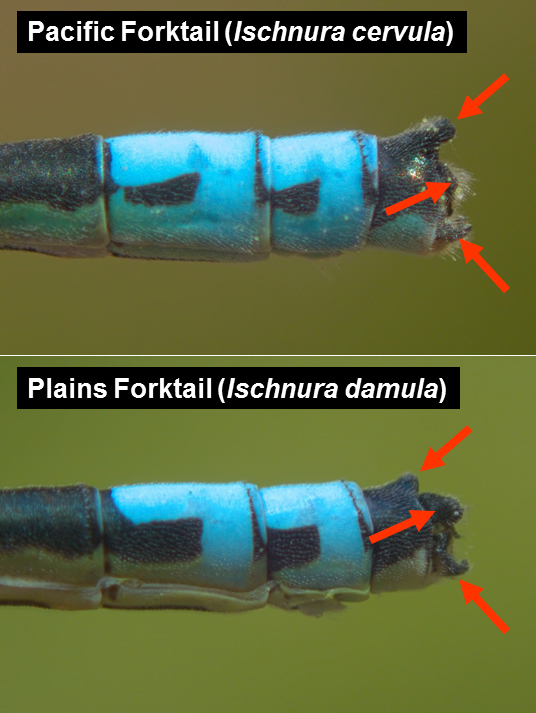 Mature males of both species are easily identified by the color of their thorax (front: black; sides: blue) and two pairs of blue dots on the front of the thorax. Separating the two species, however, requires close examination of the thorax and appendages. Pacific Forktail: Thorax dark above and with two pairs of blue dots. 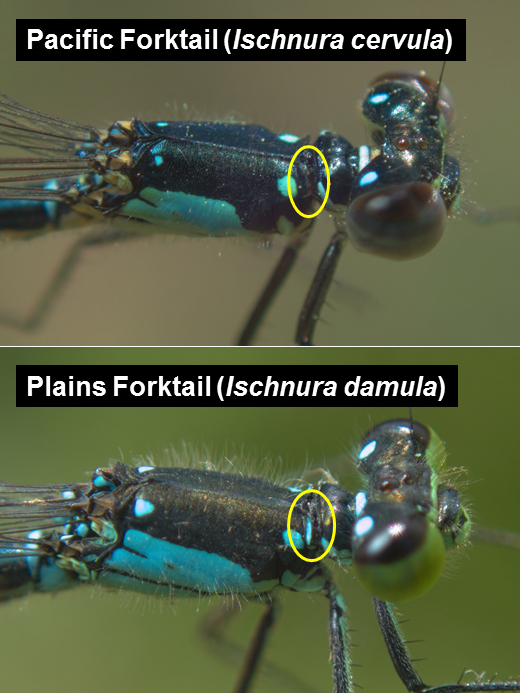 Plains Forktail: Similar to Pacific Forktail, but in addition males generally have a thin blue line on each mesostigmal plates - see picture below. Plains Forktail: small (compared to Pacific Forktail) dorsoapical projection on segment 10; large cerci; paraprocts tips distinctly curved upward.